JQ Talks: Achieving REALISTIC GLASS SKIN With This WATERY CUSHION?! Achieving REALISTIC GLASS SKIN With This WATERY CUSHION?! 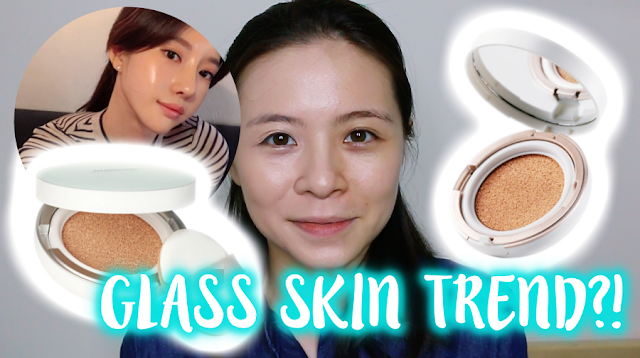 If you are not updated with the beauty world, well, there's this new "Glass Skin" Trend/Hype going around recently where ladies from Korea started boasting about achieving a super glossy skin, as shown in the circle picture above. It pretty much looks like she has a layer of shiny wax/oil on her skin, either that or a whole load of highlighter. As much as I am a big fan of super dewy skin, this whole "Glass Skin" trend may be a little extreme for me when living in Malaysia. The weather just won't permit it. However, I wouldn't say no to having "Glass Skin" if I'm in Korea during winter. Especially if I'm visiting mountainy places like PyeongChang in Gangwon-do, or by the sea area like Gangneung in Gangwon-do, it would have been the perfect layer to protect my skin from the harsh, dry, and windy weather. However, recently I did a first impressions on the Mamonde's New Brightening Watery Cushion that they've sent me a few weeks back and omgosh, it was so, SO DEWY on the skin. However, is it similar to the "Glass Skin" concept? Watch my video below to find out or read further for more info! This is the new Mamonde's Brightening Cushion. 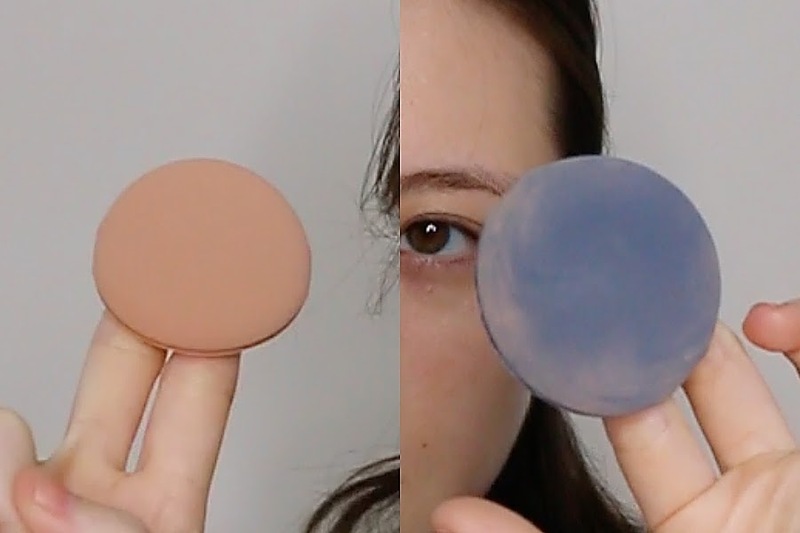 They have two types, one is the Watery Cushion, that I've mentioned earlier and will be focusing more on that specifically, while the other is the Powder Cushion, where it has a velvet-matte finish. 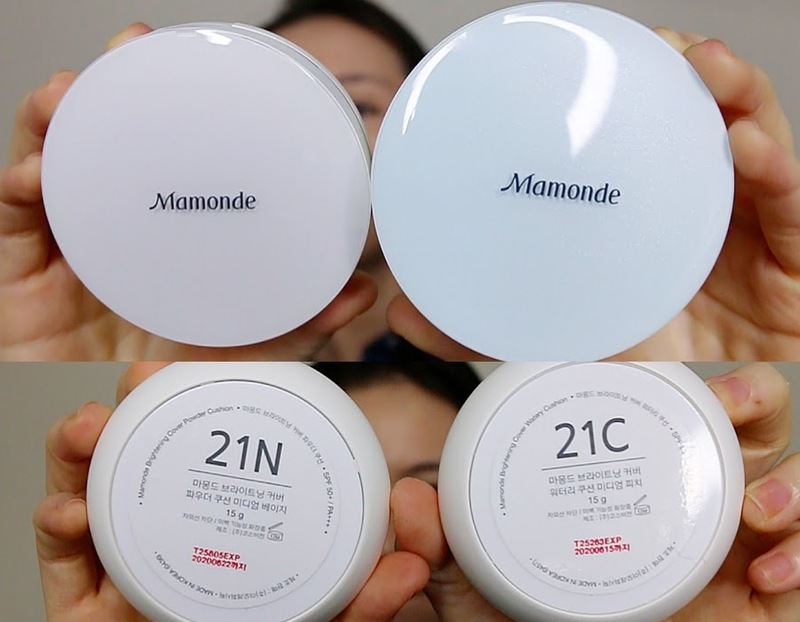 Mamonde Brightening Cover Powder Cushions has a while cover while the Mamonde Brightening Cover Watery Cushion has a blue cover. Both have SPF50+ PA+++, have a sweet floral scent, and they cost RM90 each. Available in 5 shades - 3 pink (cool) base colours, no. 17 light peach, no. 21C medium peach, no. 23C natural peach, and 2 yellow (neutral) base colours for natural cover, no. 21N medium beige, and no. 23N natural beige. Oily Skin - Recommended to apply Powder Cushion on the cheeks and forehead area for coverage and then dab a bit of Watery Cushion on the parts you want to highlight like nose and cheek bones to make you like like you are glowing naturally. Dry Skin - Recommended to apply Water Cushion on U-zone and then T-zone with Powder Cushion for sebum control. I agree it can be a little expensive to buy two cushion but this is just an option for those who needs this method as some skin type might need this alternative. You can always just stick to one like I'm planning to. As mentioned, the packaging is gorgeous. 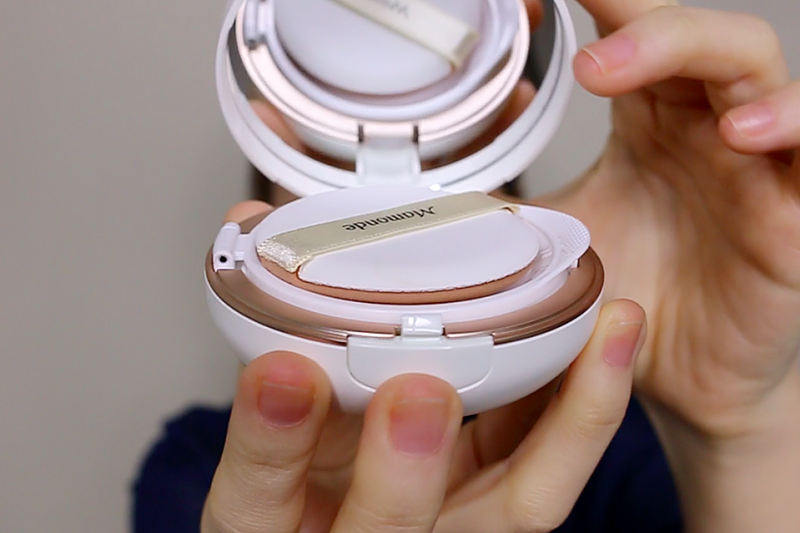 I love the rose gold ring on the inside and the huge mirror. Additional, the puff is actually new as compared to its old cushion. The cushion, mamonde calls it the Fit Puff, is slightly smaller yet slightly thicker than the old puff. It feels softer and much more spongey, has a closer feel to a beauty sponge. Feel great on the skin though, very comfortable to use. The Watery Cushion has a really nice super dewy finish on my skin and it feels super moist. My skin was happy but I had to be really careful of not touching my skin as it takes some time to set as compared to a regular cushion foundation. If you watch my demo video, you can see that it gives a true brightening effect to the point that I had to apply some on my neck to balance it out. It covers pretty well and staying true to its name, it gives a really dewy, radiant finish. It's not as glossy as the "Glass Skin" tread but it's something that I feel super dry skin people can wear in Malaysia if they can keep their hand away from their face (it's not a bad habit to have, we aren't suppose to touch our face anyway). I personally think this is a MORE REALISTIC GLASS SKIN finish for Malaysians or people staying in a hot and humid country. For me, I like the moisture that it gives my skin and personally I do like that glow. 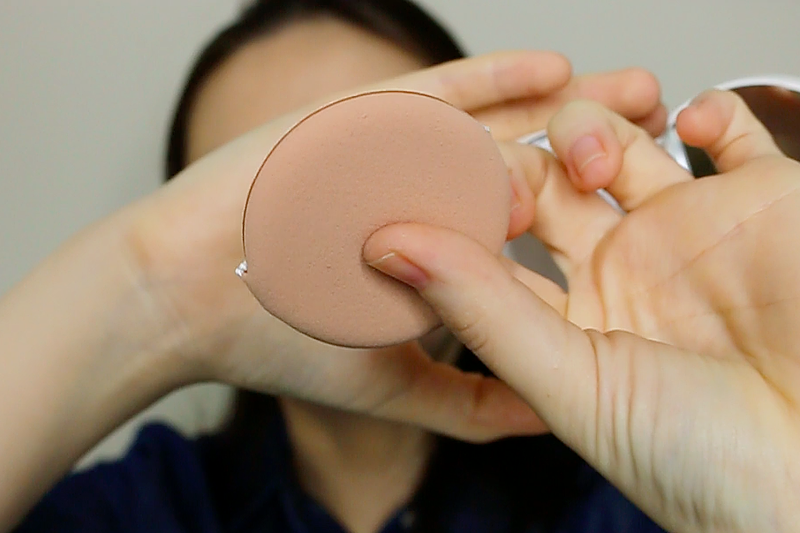 However, oily skin peeps should really opt for the Powder Cushion instead, Watery Cushion is definitely a no-no for you. 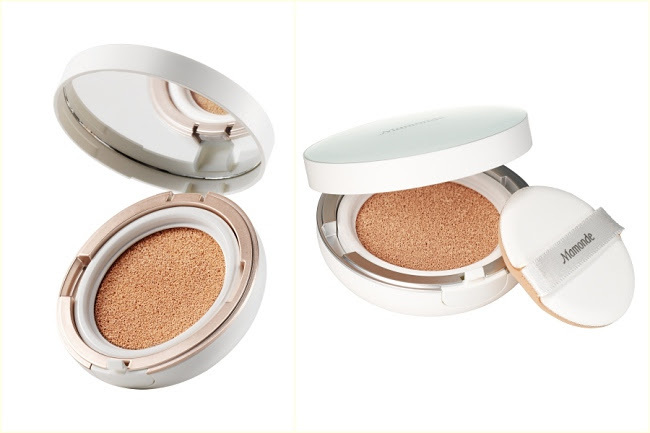 As for dry to combination skin, I've tried the older Powder Cushion before and it works fine for my skin if I hydrate my skin well before makeup, thus, if you like that western powdered-matte look, then go for the Powder Cushion option. By the way, the pictures above has skin smoothen on, check out the video to see how my skin actually GLOWS! And Mamonde is having a contest! For more info, visit Mamonde Malaysia Facebook Page.